One of the best things about your kitchen space is that it presents plenty of opportunities to take advantage of design elements that will enhance the look and feel of your space, so why not take advantage of them? 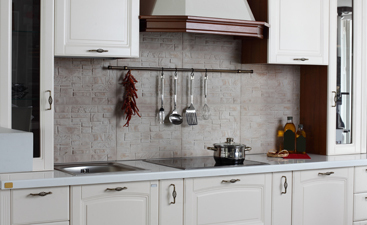 At Transworld Tile, one of our favorite design elements of a kitchen is the backsplash. This isn’t the case solely because we love tile and the wonders that it does, it’s because of the versatility and countless choices that you have when selecting the backsplash that will work perfectly for you and your home, all while creating an efficient addition to your space. When most people think about the backsplash in a house, they think about it as a design element entirely, but the reality is that this addition also makes it much easier to clean up the mess after a night of cooking while protecting your walls at the same time. If you’re recognizing just how much your kitchen could benefit from the addition of backsplash, here are a few things that you can consider when selecting the tiles that you’d like to include in it. Something that will always have to be taken into consideration is the color scheme that will be utilized throughout the process. For starters, you should determine whether or not you’d like to have a neutral color incorporated in your backsplash or if you’d rather have something that offers a nice pop of color in your kitchen. Just determining this will give you a better idea of what you hope the end results look like, and can ultimately provide you with the starting pieces that you need to get that foundation started. This will also help you narrow down the types of tiles that you can actually use to create the look that you want, almost immediately. That being said, the variation of tiles that you’ll be exposed to as you go through and find the perfect addition for your home, will slowly wind down to the right one, making this experience much less overwhelming. Remember, a color pop isn’t the only way to make a statement in your kitchen; you can make just as much of a statement with a neutral color. All it really takes is the right tile design to fully create a look that you love, and that’s where we can help out. While we’re on the topic of colors, something that we also suggest taking into consideration is the color of your countertops. Your backsplash is going to align directly up with your countertops, so you want to make sure that these two colors work well together. The same consideration goes for the materials that you choose and the texture that they incorporate into the overall look. For the most part, the rule of thumb is to pick a balance between a neutral color and a bright and colorful material. An example of this would be, if your countertops are fairly neutral in color, then you may want to consider adding a touch of color to your backsplash, even if it’s pretty minimal. If you’re someone that doesn’t want to have too much color incorporated into the kitchen, there are still plenty of tile options that you can select that will still create a separation of these two parts of your kitchen. Something that makes using tiles for a backsplash a great option is the neverending options that come along with it; picking the tiles is just one part of the battle. 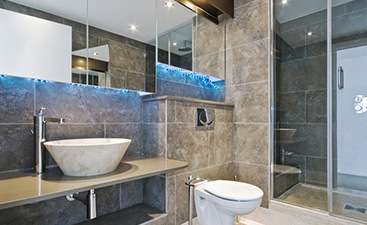 The next thing that you’re going to want to look into is what type of pattern you will want to make out of your tiles. This can become even more of a process if the tiles that you’ve selected have a different type of shape to them. Whether they’re your standard rectangular tiles or they’re a fun shape, you’ll want to consider the pattern that you’d like to have as your backsplash, that way you can really achieve the look that you want. Who knows, you might need to incorporate even more tiles to make it happen! Another element of design that you have the ability to determine if the height that you want your backsplash to be. If you’re really just looking for a way to ensure that your kitchen walls are clean from all of the things that you’ll be cooking throughout, then you can get away with a pretty general backsplash right behind the stove top and sink, and do so at a relatively affordable cost. 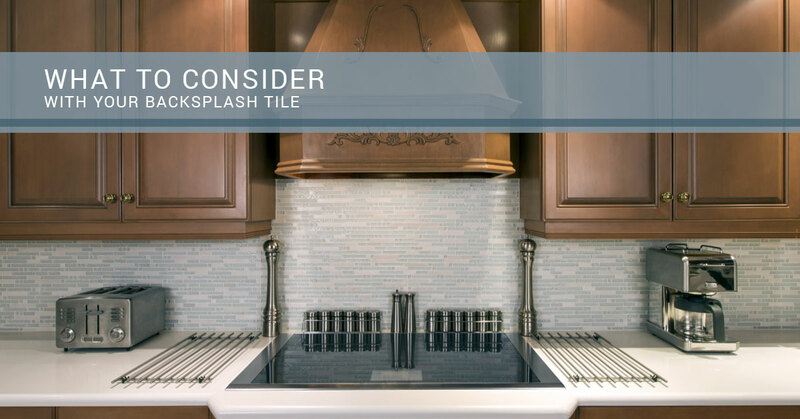 However, if you’re focusing on making your backsplash a design element of your kitchen, then you may want to consider adding it further than these two areas. Some people choose to add their backsplash above all of the wall space that has counters directly below it. In all reality, this is something that you’re going to have to determine on your own. While our team can provide you with plenty of input on ways that you can follow through with the design that you would like to implement, your overall opinion and choice in aesthetic is what will make the difference. You’ll want to also consider all of the items that we listed above when determining how high, or long, you’d like your backsplash to go. With any home improvement project, you are going to have to consider how much budget you have to spend. Your budget is going to directly correlate with the amount of space that you’re going to be able to cover, the type of materials that you’re going to use, the quality of tiles that you use, and what the project looks like at a whole. Whether you decide what type of project you’d like to take on, or you set a budget first, it’s always good to put one foot forward and move along as you see fit. What we mean here is that you need to either set a budget and work within it or set an end goal and create a budget surrounding that. The best thing that you can do is ensure that you are ready to pay for whatever it is that you create with your backsplash. 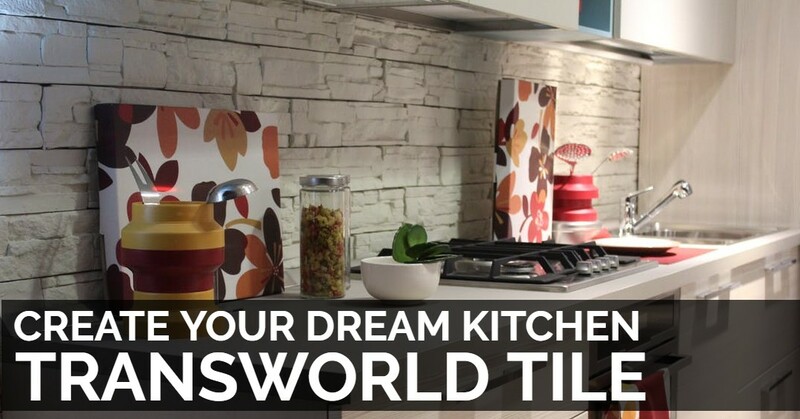 When you’re in need of high-quality tiles for your kitchen’s backsplash, you can count on Transworld Tile to take care of you. 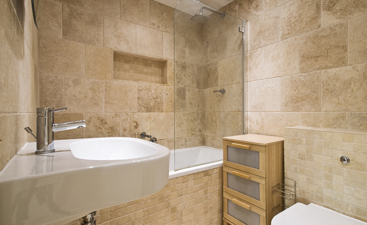 Contact us today and we can set up a time for you to see the tiles that you’re interested in. Let us find the perfect piece for your masterpiece backsplash in your Thousand Oaks home!